With its timeless simplicity and wide-ranging appeal, Shaker-inspired furniture is ideal for both classic and contemporary backdrops. 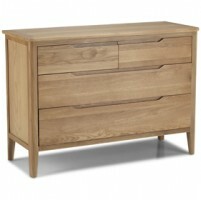 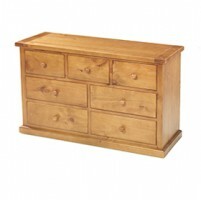 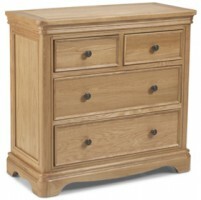 And while its appearance may be understated, it couldn’t be said that this lovely chest is lacking in character. 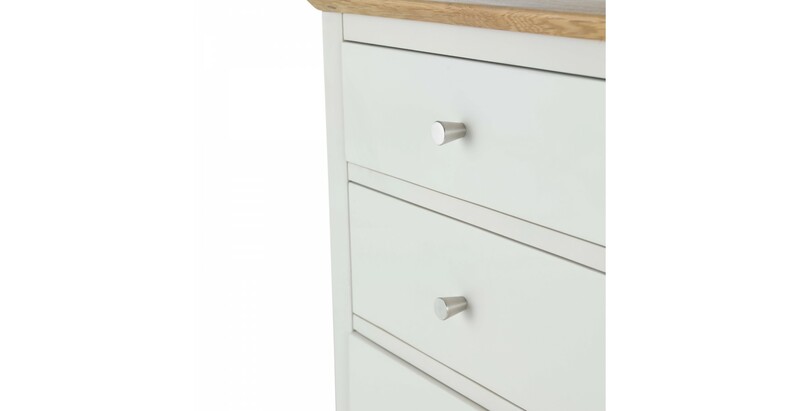 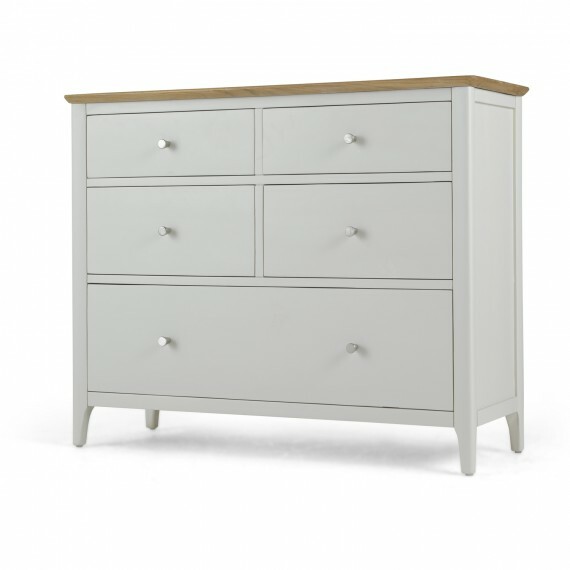 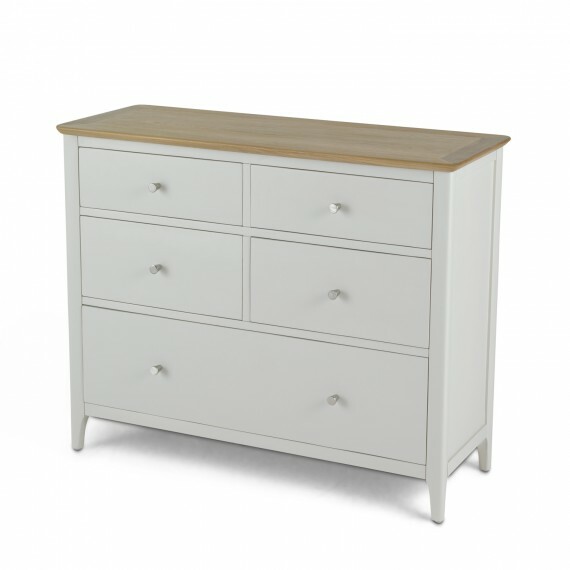 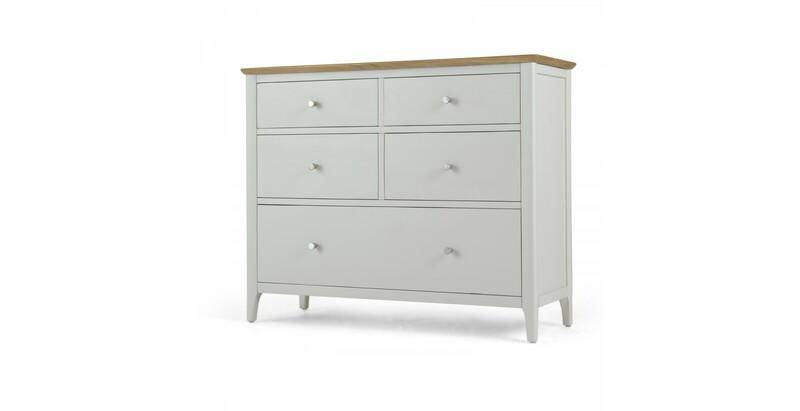 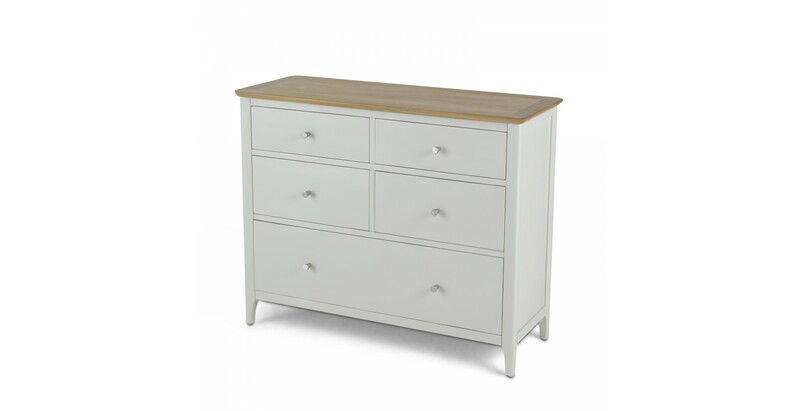 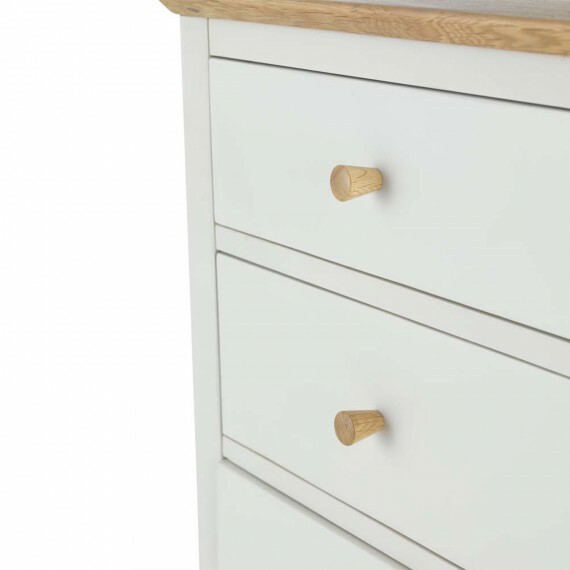 With four drawers set over a wider fifth drawer, it provides sturdy and generous storage space for your clothes, with room on the waxed oak top for jewellery boxes or a mirror. 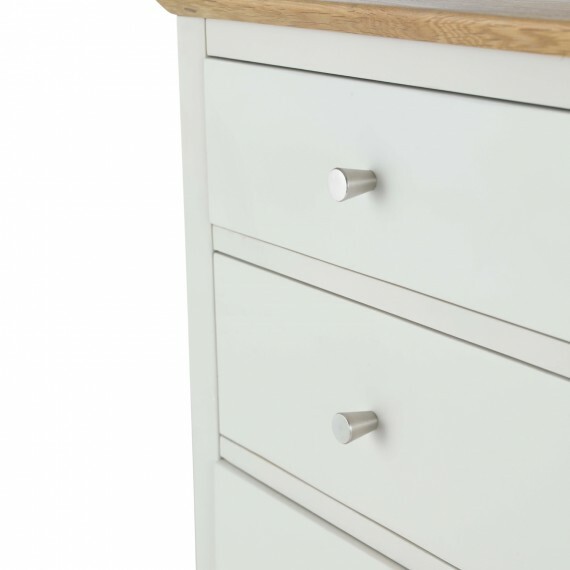 Painted a pale goes-with-anything grey, it comes with sets of small wooden and metal handles so you can decide which will best blend with your décor.